As Minnesotans, we cherish our lakes, rivers, forests, animals, the clean water we drink and canoe on. Hence, the topic of climate change attracts a great deal of interest. Plan to attend the 14thannual community forum on THURSDAY, May 2,7:15-9:15 a.m. just over the river at the Town and Country Club. Address:300 N Mississippi River Blvd, St. Paul. (Note: This meeting replaces our May 1 regular MCOL meeting.) The event is being co-sponsored by our Club along with St. Paul Sunrise and the Roseville Rotary Club. Grounded in the Rotary Four-Way Test, this community forum will present climate science’s latest findings, impacts and urgency. Russ Stark, Chief Resilience Officer, City of St Paul. There is no charge to MCOL members plus one guest each, IF you sign up here on our website by Thursday, April 25. Vocational Engagement Stories: Submissions Wanted! At our May 15 meeting, we will celebrate club members who have demonstrated the ideals of vocational service -- “where our Rotary lives and professional lives intersect,” in the words of 2018-19 RI President Barry Rassin. As club members YOU will determine who and how we celebrate that day. We need your stories!! Just complete the following super-simple form here by April 16. The Vocational Services committee will review submissions at our April meeting and select some of the best stories to be told. On Wednesday, April 10, from 3:30 to 5:30 PM, we will be at Dunwoody College of Technology to facilitate mock interviews to help students prepare for professional success by practicing their interview skills. If you available at this time, this is a great opportunity to give back to the community. The event will be at Dunwoody, located at 818 Dunwoody Blvd in Minneapolis. 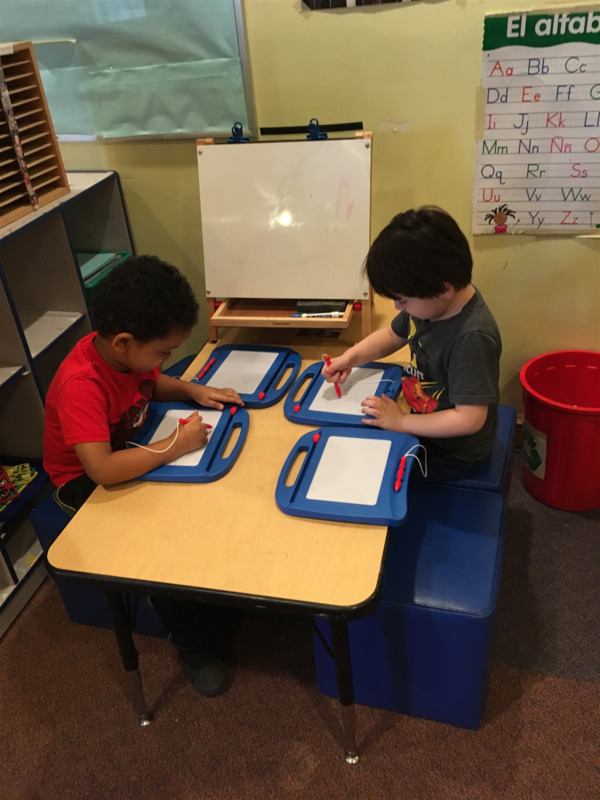 The Minneapolis City of Lakes Foundation provided $1,500 to Joyce Preschool in south Minneapolis to support reading and related learning tools for the 3, 4 and 5 year olds. Supplies and books were purchased in both English and Spanish and these young learners and their teachers are excited to have these new resources to inspire learning in their classrooms. Thanks for your support of the Minneapolis COL Foundation, we are able to continually support great organizations like Joyce. Thank you! I am very pleased to share the news that we have received a membership application from Kathleen Kuehl. Her sponsor is Jewelie Grape. Kathleen is an attorney and founding partner at Bridgeview Legal Advisors, specializing in estate/trust/business law. She holds a Juris Doctorate from the University of Minnesota and a B.S. degree from Winona State University. A dedicated volunteer, she has provided pro bono time for such organizations as Cancer Legal Care, Wills for Heroes, Minnesota State and Hennepin County Bar Associations, and the Minnesota Children’s Law Center. She enjoys travel, running, boking, reading and sewing in her spare time. Her proposed classification is Law – Estate Planning. If you would like further information about, or have any objections to, Kathy’s application for membership, please contact Carol Russell before April 18, 2019. Registration for the The Leadership Fellows Program (LFP) is open! The goal is to equip cohort members with practical skills for personal, professional, and Rotary leadership and spotlight Rotary as the leadership development organization we know it is. Click here for more information. On Saturday, February 16, City of Lakes Rotary Club participated in the 4th Annual Community Awareness to Action conference. The event was a great success, with over 200 participants getting in-depth presentations from survivors of human trafficking as well as the caregivers and support organizations that engage them. Our club was also a key funder of this event. Every year this conference brings in area professionals, community members, parents, and grandparents who have taken a step to learn more about human trafficking in our communities, and many become inspired to turn that awareness into action by meeting with our local businesses, organizations, and ministry representatives. We meet Wednesdays at 7:15 AM at The Minneapolis Club, in the third floor main dining room. Rotary After Dark meets on the second and fourth Tuesdays at 5:30 PM in The Minneapolis Club pub room on the second floor.